Welcome to that part of the Club Coaching and Management Team which concerns itself with issues affecting those archers, and would-be archers, with any kind of impairment – whether it be physical, sensorial or neurological. We organise the fully Inclusive school games. If you are someone thinking of ‘having a go’ at archery, you are likely to have some questions like – Where do I start? With my disability is it safe to do so? What are the facilities? What is the access like, etc? Whatever your query, we will do our best to help you find an answer. 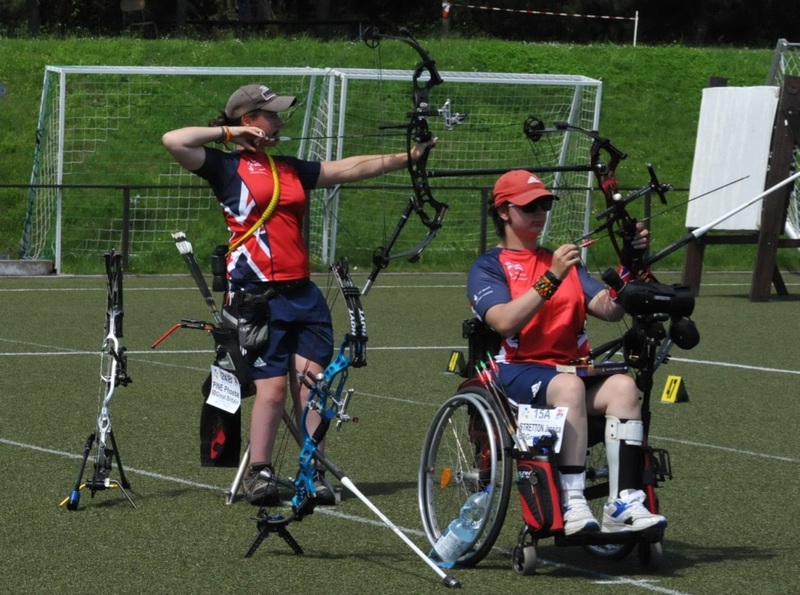 Archery has always been in the forefront of integration between able-bodied and disabled participants. We share the same shooting line, tolerate the same weather and compete for the same trophies – and frequently win them!! We have a Paralympics squad to be proud of and to aspire to. The club structure of Archery GB ensures that there will be a level of activity to suit your needs and provide you with enjoyable recreation or challenging competition. Our annual record status event is a great success. 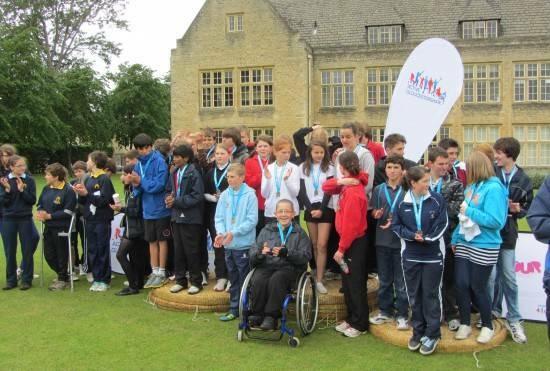 Deer Park Archers recognises the value of sport and the important role it plays in enhancing the quality of life. Our vision is to make “Deer Park Archers a physically active and successful sporting club” and we are committed to ensuring that opportunities are accessible to all those who wish to start, stay and succeed in our sport. We firmly believe that everyone should have the opportunity to participate in sport and physical activity regardless of their age, gender, disability, race, ethnic origin, nationality, colour, parental or marital status, religious belief, class or social background, sexual preference or political belief. We are committed to working in partnership to ensure that there is equal access and choice for everyone wishing to be involved in sport and physical activity, whether as a participant or as a volunteer. Open taster sessions at many locations including our own venues on a regular basis. 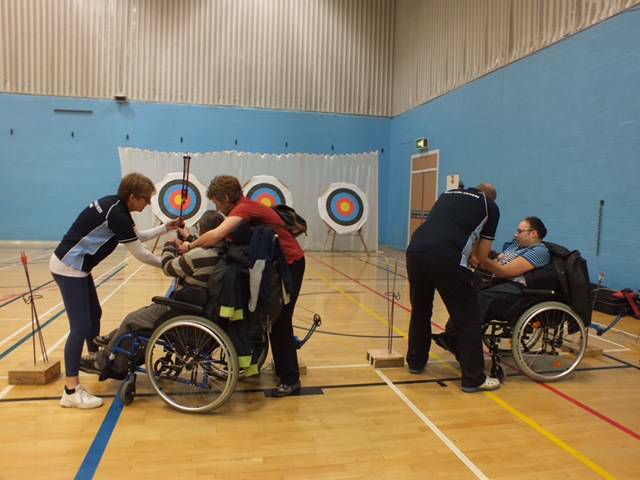 If you have a disability and are thinking about trying archery please feel free to contact us, we can discuss your requirements and see if we can help. We may suggest a short have-a-go session to better understand the best way forward or we may suggest a 6 week beginners course, once you and ourselves (it is a partnership) are confident that we can provide you with the right support to make the experience a good one. You will need to be aware that if we have the skills to support you and the capacity to do so, then we can agree a plan and get started fairly promptly, however if we do not have sufficient spare coaching capacity at that time, then we may ask you to be patient until we can provide the necessary support to enable you to achieve your full potential and have a great archery experience. You can see some of the past activities we have supported here. We have our own Inclusion Club which welcomes everyone with an impairment. For those that meet the Archery GB guidelines then membership of our Governing Body is available at a reduced rate. Additional coaching support is generally available at Inclusion Club sessions which may be separate (generally in the indoor season) or integrated with other club sessions (generally in the summer) and we have a lot of specialist equipment and a growing level of expertise! 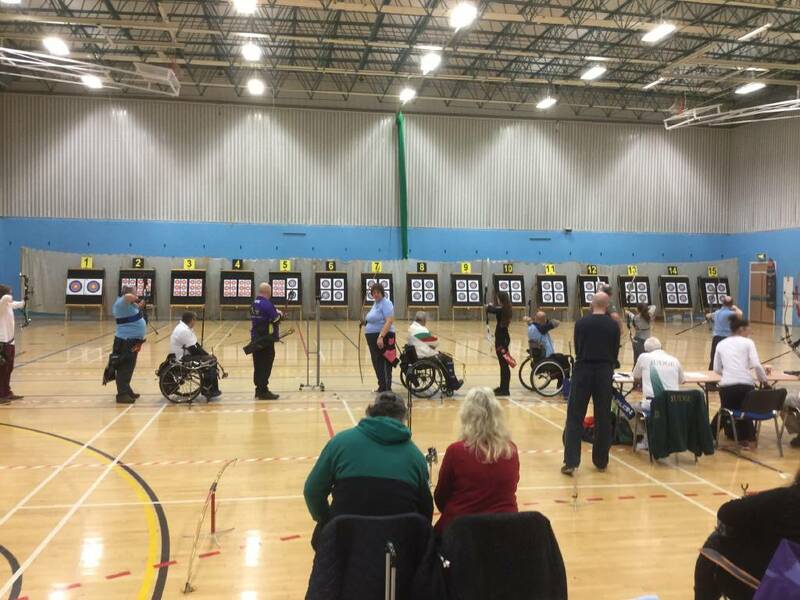 Membership of the Inclusion Section includes attendance at general club open practice sessions, however for those sessions coaching support, environmental considerations, range layout and equipment support cannot always be guaranteed. Our Inclusion Officer is Mrs Allison Pine who can be contacted via our Club Secretary Mary Crang (marycrang@aol.com). 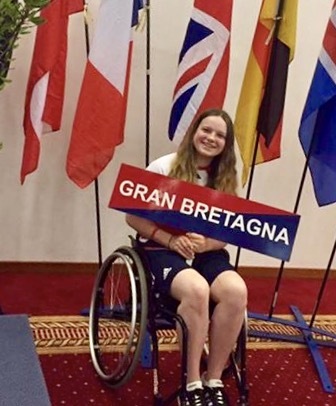 Some of our Inclusion Club members have qualified as coaches and we recently had our first member join the full Paralympic Squad and a further 2 members the Development Squad! Phoebe Pine (left) part of a team that broke a World Record!